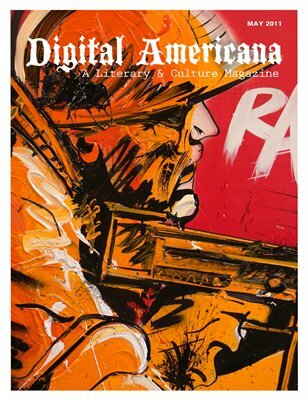 May 2011 - The Post Osama Issue: This month we bring you 88 pages of digitized Americana, not just because that is the speed necessary for time travel, but because we just couldn't fit the issue into anything smaller. Featuring an essay from a counter-terrorist insider, three new pieces of fiction, an interview with rising pop-culture artist David White, hi-profile DJ, Moe Choi, and featured author, Nathaniel Rich. Not to mention plenty, plenty more. Check it out today.